The Trump administration says a ruling this week by a federal judge in San Diego requiring the government to reunify families separated at the border means authorities can legally keep families detained until their cases are complete. "The Trump Administration has been engaged — since January of 2017 —in restoring order to the lawlessness at the Southwest border and protecting our nation's citizens, but we are beholden to a broken immigration system that Congress has refused to fix and that courts have exacerbated," the department said in a news release. 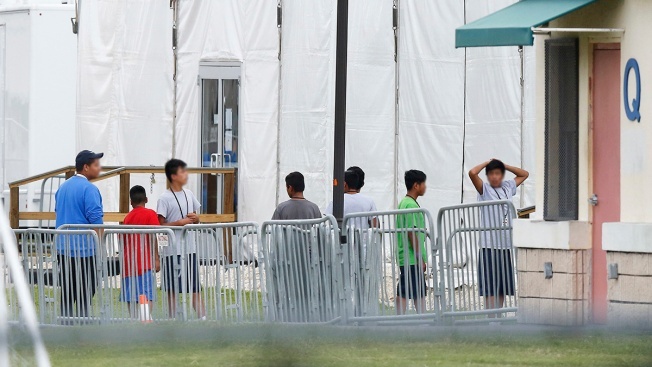 The Flores agreement requires the government to release children from immigration detention "without unnecessary delay," which the government has generally interpreted to mean about 20 days. But the DOJ is zeroing in on the requirement, saying the order this week from U.S. District Court Judge Dana Sabraw requires that children's release be delayed so that they can stay with their parents. The ACLU is disputing the Trump administration's interpretation of the ruling.